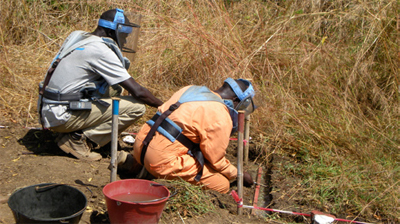 The South Sudan Mine Action Authority and the UN Mine Action Office jointly coordinate and control all mine action in south Sudan and assign tasks to the operational organisations, including SIMAS. The Swiss Foundation for Mine Action (FSD) is coaching the structure of SIMAS at all levels: in the technical disciplines in the field, in the coordination of the field activities, in logics, finance, human resources, fundraising, donor reporting as well as at the strategic tasks of the SIMAS Board. only be done slowly and to very high quality. The staff live within the villages and interact closely with the local residents. 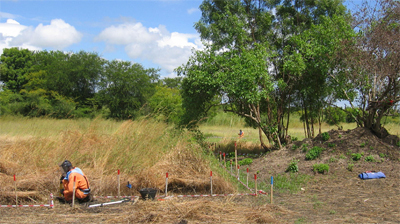 In September 2009, SIMAS Teams started clearance of a minefield in Lirya, a village located 67 km East-South-East from Juba capital. Lirya is a fast expanding village with considerable number of returnees and IDPs coming to their pre-war homes or looking for resettlement. Highly contaminated by landmines, the village was having problem to accommodate growing number of residents. The place was known for landmine incidents where at least two people and a number of cattle died in the past due to landmines. SIMAS completed the clearance task on 03 December 2010, finding and destroying 58 landmines (Model No-4) and over 600 pieces of various unexploded ordnance. Cleared area has been handed over to the local community and is now used for agriculture and resettlement activities. In May 2008 SIMAS moved their operations to Mangalla, 60 kilometres north of Juba. In this riverside village the church, school and the track accessing these facilities were mined. The task was successfully finished on 17 July 2009. With the area being safe, the local population has started repair their houses, the church and school, while safe, open land encourages more returnees to settle in the district. In January 2008 SIMAS was re-tasked to Rokon, a village on the boarder of Central and Western Equatoria. The area cleared was known as ‘The Brick Factory’ and had specific minerals in the soil which when mixed and baked in the right way produce very good and strong bricks. The Brick Factory is expected to provide a living for at least ten independent brick makers. 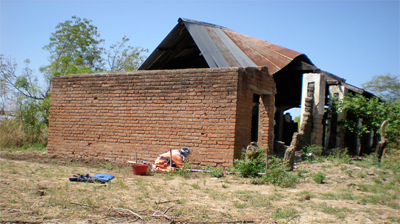 With the support of CHF International they will make bricks to re-build the local secondary school. The school will encourage settlement and development of the district. 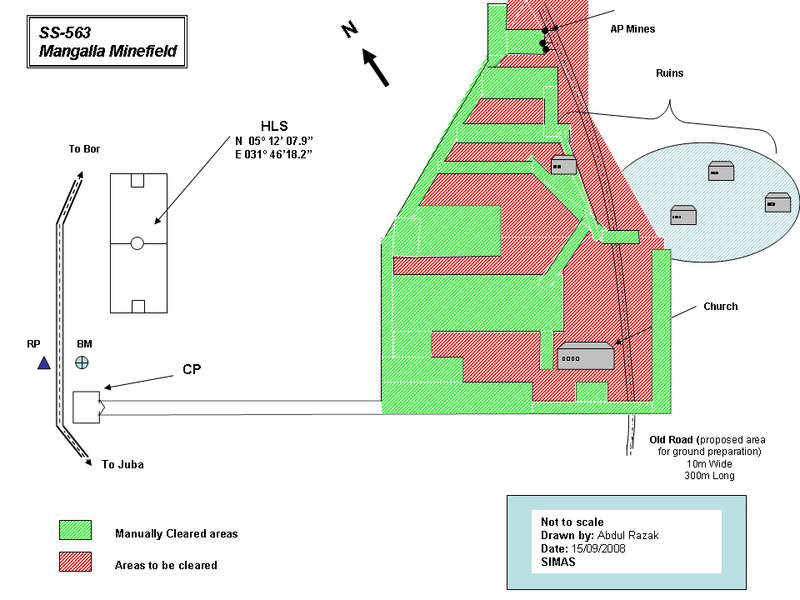 The first task assigned to SIMAS was the big mine field at Rajaf East. This is an area about 15 kilometres from Juba on the river Nile and close to the village of Rajaf East. The area had been mined to prevent access to the river for transport. It is an area of good agricultural land and is designated for re-settling refugees and IDPs.